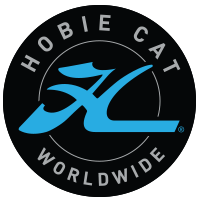 The Hobie Class Association of North America has developed these policies to maintain the one-design aspect of Hobie Racing at HCANA sanctioned points regattas, taking into consideration the changing landscape of catamaran racing in North America and the significant contributions of the Hobie Cat Company to Hobie Class racing. The basic policy regarding points regattas is defined by the Hobie Class One Design Policy. It essentially says that HCANA Sanctioned Points Regattas must be conducted according to Hobie Class Rules, including the class membership requirement, are open to all Hobie Cat classes, that there shall be no handicap class (Portsmouth or other system) and that other brands of catamarans are not permitted to participate in the racing.Exceptions to the Hobie-Design Policy are the Yacht Club Points Regatta Policy and the F18 Class Inclusion Policy. Regattas conducted under these policy exceptions have significant lead times for approval by the HCANA Board and requests must be submitted months in advance. Plan ahead! Regatta organizers are expected to to read and be familiar with these policies. If you have any questions whatsoever, please contact the HCANA Race Director or the HCANA Events Coordinator.